Pressure was high because I was kinda cooking first time for my parents. 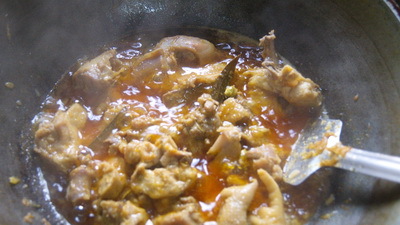 On other hand first time (kinda) I am cooking in Bangladesh. You can check the result. 2. Wash bottle gourd and keep aside. 3. Heat the pan with oil on medium heat and add sliced onion, cinnamon, cardamom and bay leaf. 4. 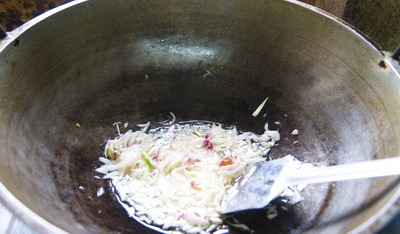 Cook it till it becomes soft and add turmeric, chilli, coriander, ginger, garlic,1 teaspoon salt and onion paste. 6. 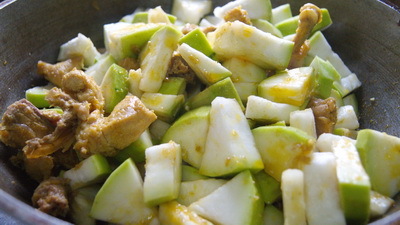 Add bottle gourd pieces, stir it and cover the lid. 7. 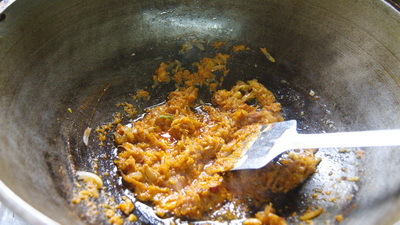 After 2 minute add 1 and ½ cup water and stir it. 8. 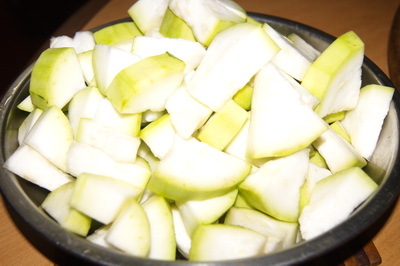 Cook it under close lid till bottle gourd becomes tender. 9. Check the salt and stir again and turn off the heat. 10. 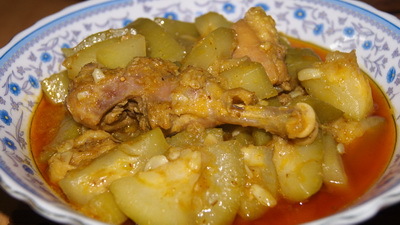 Serve bottle gourd with chicken / long melon with chicken /Lau Murgi hot with rice. a beautiful presentation, excellent illustrations for the first time Bangli cooks. the dark green, though a beautiful hue, is a bit of a strain on aging eyes. Thanks Barbara for pointing this. I will talk with my web designer and fix it soon. Thanks again.